What is a proxy and what are they for? The primary purpose of a proxy is to hide and change your real IP address or IP addresses at work. For example, you want to hide your real location or country when you surf a website, visit a forum or an online store, or play some online game. That is easy, you just need to connect through an anonymous IP address and your real IP will be hidden. There are websites that open for visitors of a particular country only. In order to visit such a website, you need to find an anonymous proxy of that country and connect through it. Using anonymous proxies, you can message or make calls over Skype, ICQ and any other online messengers. The proxy covers a huge online sector and every user decides how to use it, but the primary purpose of the proxy is to stay anonymous on the Internet. Namely, you will not depend on your provider and will have an access to any websites from the different countries. The proxies that use HTTPS protocol encrypt all incoming and outgoing traffic, thus they protect your information from your own provider, eventually your provider will not see what you do on the Internet. You can work directly through your browser by specifying an anonymous IP address in the browser or use any software that supports this feature. What is the best protocol to choose: SOCKS5, SOCKS4, HTTP or HTTPS? Today, the majority professionals use the SOCKS5 protocol, because it is the fastest and most reliable one around the world. Namely, the SOCKS5 does not transmit your IP address data to the server that you visit, and therefore, all SOCKS protocols remain anonymous. In addition, that type of proxies are very stable and reliable unlike their older predecessors. The SOCKS5 protocol supports TCP, UDP, authorization and remote DNS query. The SOCKS4 protocol supports TCP only and it does not work with authorization unlike the SOCKS5 protocol. The SOCKS4 protocol also is anonymous like the SOCKS5 one. HTTP and HTTPS proxies are anonymous and transparent. HTTPS proxy encrypts the incoming and outgoing traffic and protects the information that your computer transmits. In fact, the websites of financial and governmental institutions are required to use this protocol, in order to protect the information of their users. When you use HTTPS proxy, it still does not give you 100% guarantee that your real IP address will not be identified by the website you visit. Today, we have many technologies that can identify your IP address when you use such proxy. The HTTP is outdated protocol. Unlike HTTPS, it does not encrypt the traffic. In the last century, this protocol was really popular, and it still stays popular for free proxy lists, but it holds lots of troubles. For example, it sends unencrypted information to the third-party server, and accordingly it may reveal your real IP address, even if the HTTP proxy is anonymous. 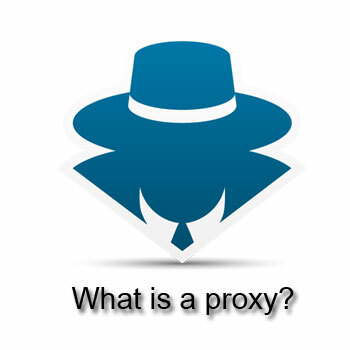 If you want to keep stable and secure working process, we recommend you to use the proxies from (www.proxyprivate.org). We always provide a reliable and effective technical support 724!